What really makes FullReader special is the Black Theme available in the newest version. The owners of devices with Super AMOLED displays will surely appreciate this feature as it is energy efficient. Enjoy reading books without thinking about your battery and the necessity to charge it. 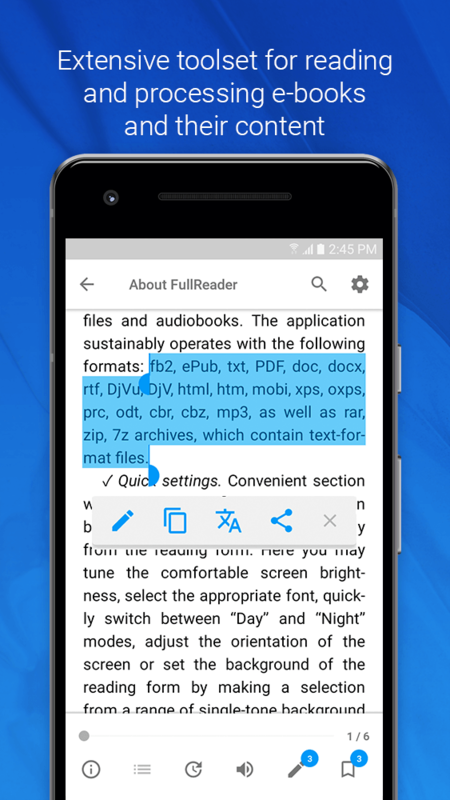 The developers of FullReader did a great job and it is obvious that they care a lot about their app users. Therefore in FullReader 4.0.5 it is possible to customize the bottom toolbar while reading. No other reader offers such personal approach to users. So set everything up to your liking and immerse into pleasant reading. When FullReader says it is a multi-featured application for reading e- books, that is a bit of an understatement. This app has everything, and I mean everything. For starters, the scanning feature will automatically scan your device for compatible formats to add to your library. Formats include ePub, txt, doc, docx, DjVu, and mobi, just to name a few. No need to hunt down each book and document you’d like to add that may be in different folders to assemble in the app. Once the files are found, FullReader organizes them into an easy to navigate library that can be sorted by collection, favorites, recent, authors, titles, series, or just a complete list. Easily display your library any way you want to. Manage not only book and document files but also audio such as MP3s, create personalized playlists with playback right within the app. And that is just what is stored on the device. The app also allows for a network library where custom OPDS directories can be added manually. Then there is my personal favorite, Cloud Storage. 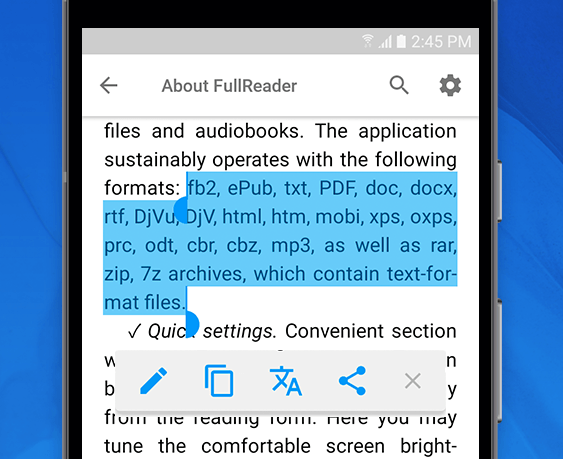 FullReader has sign-in capability for Dropbox, OneDrive, and Google Drive via CloudRail. Sign in once for access to all three accounts in the Cloud Storage area. 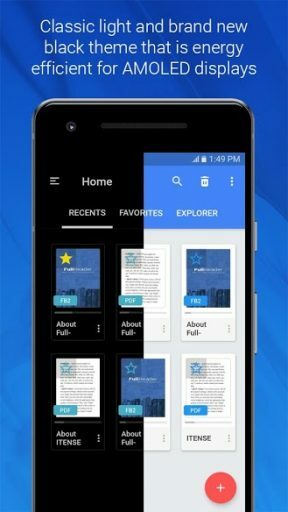 This is really great when you are running low on storage on your device but still want access to all your documents and e-books all in one place. Bookmarks and note-taking capability are also included with text and colorful inserts to bookmark particular pages. All notes can even be exported into an external document, which can be handy for book reports or research use. Continue reading immediately wherever you are with the FullReader widget and keep it easy on the eyes with the new dark mode theme. Every user can really make it their own with the new customization of the toolbar. It can read aloud and also has an embedded translator with 95 languages. They really have thought of everything! FullReader – e-book reader is free to download and ad-supported, but the ads can be easily disabled in the main menu. 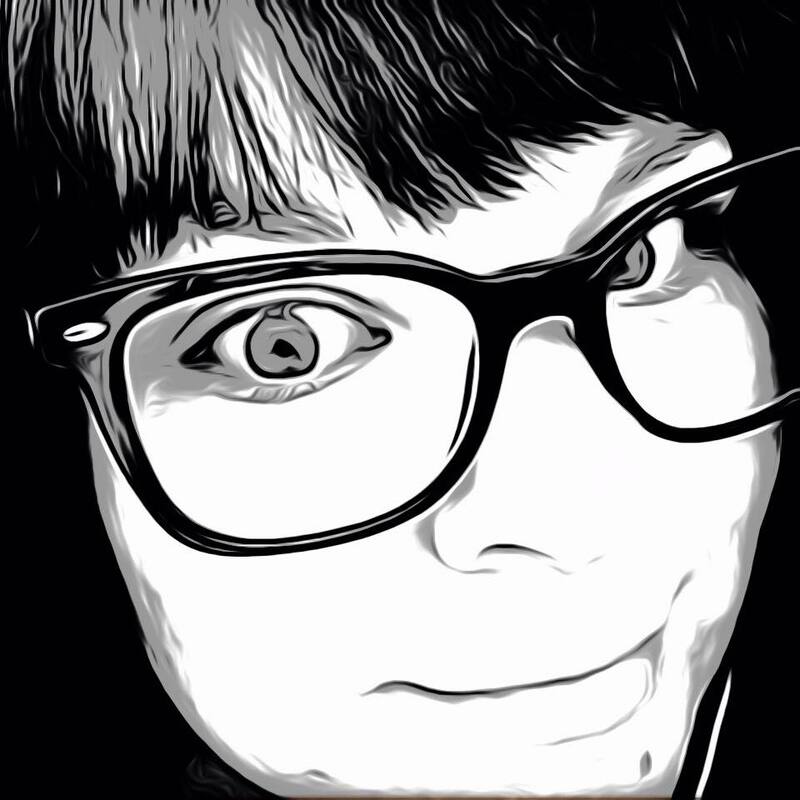 I really enjoyed this app, it’s well designed, simple to operate and has so many uses. Kudos to the ITENSE team for this multi-functional application.